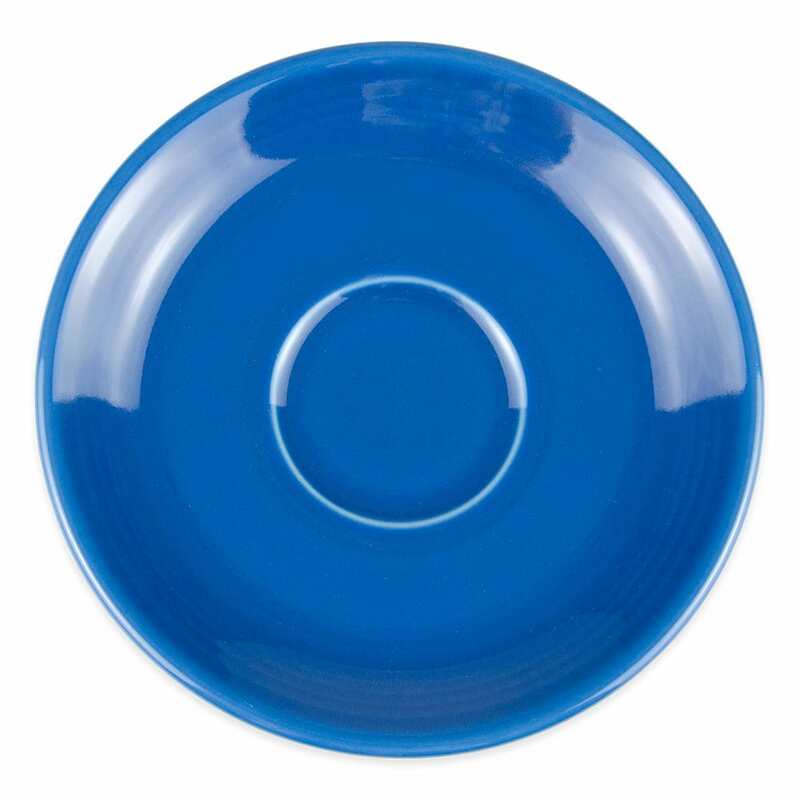 The Homer Laughlin 470337 lapis saucer makes a statement in any place setting and mixes well with other Fiesta® colors. The saucer features detailing on the edge, which adds texture and highlights its color. This fully vitrified saucer measures 57⁄8 inches in diameter and is strong for commercial use. The Homer Laughlin 470337 Fiesta saucer is microwave, oven, and dishwasher safe. Fits on most tabletops with its 57⁄8 in. dia.